Grosvenor Service Delivery Technicians get new branded jackets for winter. Autumn’s here and we’re gearing up for a busy winter. 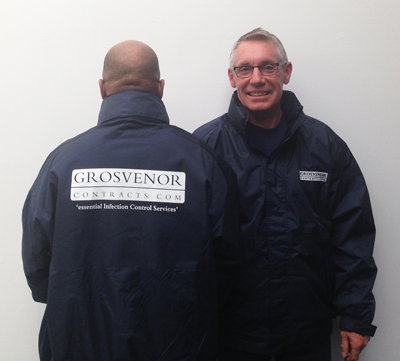 Our service delivery technicians will be a lot cosier in their new Grosvenor Contracts branded jackets.